Never Made Beard Oil Before? No worries! View our complete guide on making your very own beard oil. 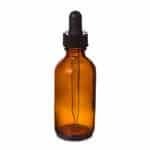 Generally when making beard oil, the set up costs are a bit on the higher side, but in the long run you save a tremendous amount of money on a cost per ounce basis. View our in-depth guide and learn how to make your very own beard oil just like the pros. First attempt at a beard oil. Smells pretty good, hoping it does the job! Smells so good you'll want to eat your own beard! And afterwards you can drink at least one of your ingredients! Warm and comforting, good for the cold holiday season. With a tropical reminiscence. A very good anti-dandruff beard oil. It reduces itchiness, and leaves the beard shiny and soft. 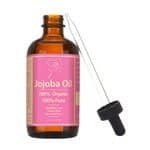 Light oil for daily use, with a fruity scent of Coconut and Lemon. Makes the beard soft and bright, and very conditioned.